Jordan Allison, Campaign Manager at Show Racism the Red Card Scotland responds to Call 16 of our 25 Calls campaign. It is widely recognised that bullying is an issue that educators must tackle far too often. With figures suggesting that up to a third of our young people have endured bullying incidents, we can only make predictions about what this figure actually looks like in real terms, due to the misunderstood and under-reported nature of bullying in education. At Show Racism the Red Card, we feel that prejudice-based bullying is severely under-resourced in terms of the advice and support available to educators about how to approach this problem. We also understand the extreme sensitivity around this, forcing many to dodge the issue entirely at times, but feels that this tendency to ignore stems from a lack of understanding, in part due to the absence of available resources. When RespectMe got in touch with us for our input on dealing with racism in education, we were hugely encouraged by their ideas of promoting positive conversations on diversity within the classroom. We decided immediately to collaborate on their ‘Choose Respect’ campaign, which has now sparked the creation of some terrific learning and resource packs, Celebrating Difference, available on their website. We believe the packs help to fill a huge gap surrounding information on diversity. 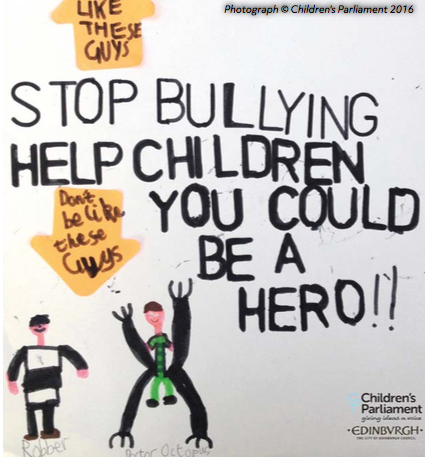 Our work sees us visit schools across Scotland every day delivering anti-racism workshops, and our education workers are consistently approached by teachers, even during their short breaks, to seek advice on approaching bullying incidents within their classrooms. Reports sadly reveal that physical appearance is the most common characteristic associated with bullying today, followed closely by race and nationality. With this manifesting itself more and more online too, inspiring campaigns such as ‘Choose Respect’ will help classrooms in becoming positive, open, safe environments where children feel welcome and where this kind of bullying can no longer thrive. 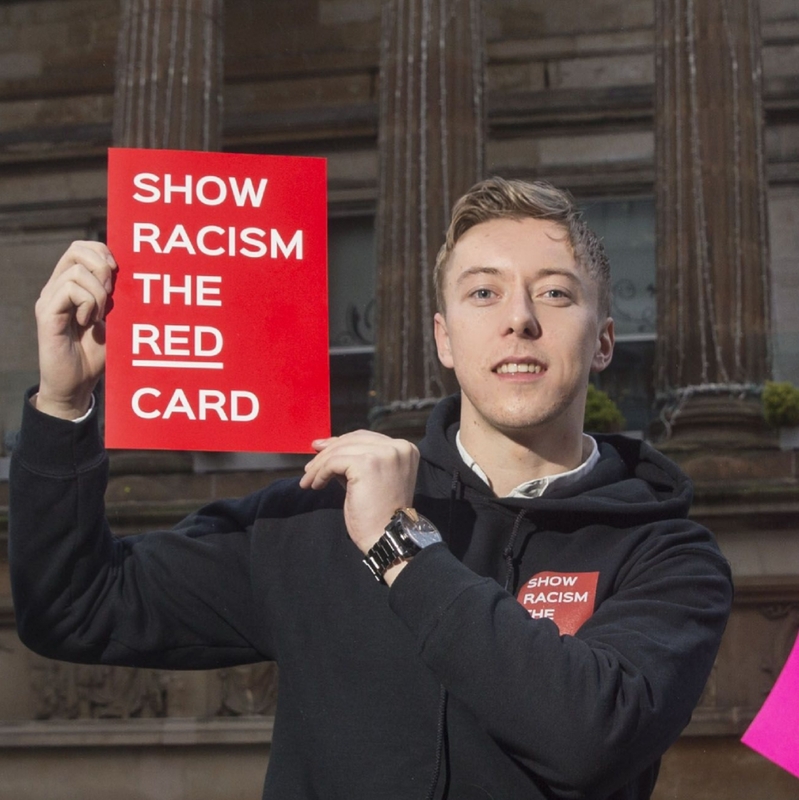 Jordan Allison is Campaign Manager at Show Racism the Red Card Scotland. He is responding here to Call 16 of our 25 Calls campaign contributed by Katie Ferguson, Director of respectme, "Work together to build cultures where every voice is valued, and create a society free from bullying".